My pals at Red Bull told me of the idea for their new app a while ago and I immediately liked the idea. It’s a little like a video based mixture of twitter and instagram, integrated with facebook, the idea being you can upload 15 second riding clips and tag yourself and your friends. You can set yourself up a rider and a filmer profile then when you go to the Red Bull flow site you can watch all the videos tagged with yourself, other riders, certain tricks, skateparks and spots. 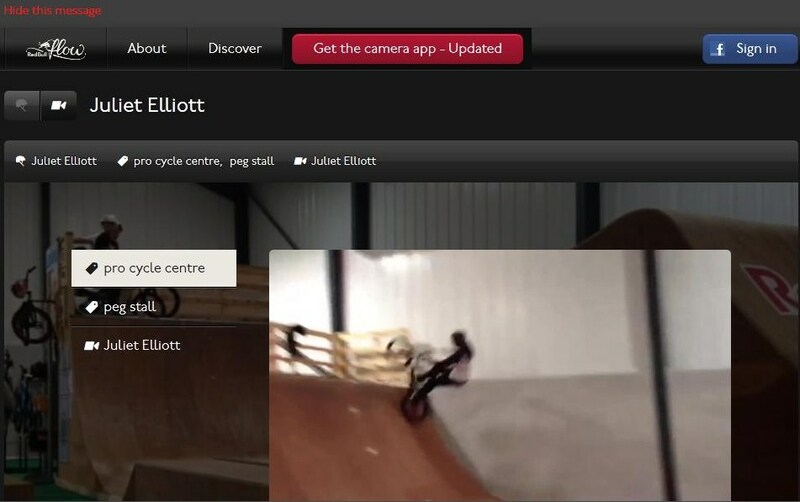 I’ve been testing it out so I’ve uploaded a few clips from Pro Cycle Centre, Decoy and Motion Ramp Park. At the moment it’s set up for skate and BMX but the snow side will be launching soon. Go check it out my clips if you like or download the app for your phone and have a play. Some of the Red Bull athletes will be logging on and offering advice on nailing that trip you’re desperate to land and filming tutorials too. Looking for some advice on how to stop shying away from the five foot volcano at Decoy myself; it has fear written all over it! What’s up to all, how is everything, I think every one is getting more from this site, and your views are nice in favor of new viewers. shell and gave it to my 4 year old daughter and said “You can hear the ocean if you put this to your ear.” She puut the shell to her ear and screamed. There waas a hermit crawb innside andd it pinched her ear. She never wants to go back! LoL I knoiw this is totally off topic but I had to tell someone! If an ad is shown and then a individual clicks through it to the advertisers webpage, the user is then billed up to this maximum bid, typically from a pre-paid balance with the chosen PPC search engine. So many people yelling around “Thanks to Affiliate Marketing and Google Adwords, I made $8,000,000. And if writing isn’t your forte, enlist the services of a trained freelance writer to give your content a professional touch.